Bed bug control requires an integrated approach combining mechanical control methods and improved cultural control practices. However, insecticides remain an important tool in bed bug control. But they must be applied properly and in certain key locations to be effective. Alert: The information on this page is written specifically for professional pest control technicians and other professional applicators. Following is a menu of potential insecticide application sites associated with beds and some techniques for treating these sites. 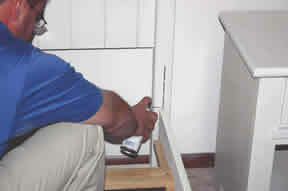 The number and location of sites treated with insecticides will depend on the extent and severity of the bed bug infestation. Always check the label for specific instructions and precautions before using a particular insecticide product for bed bug control. Instructions will differ between products, and sometimes the same product will have different packaging with different labels. It is a violation of federal law to use an insecticide in a manner inconsistent with its labeling. Be sure, too, that you are familiar with state and local regulations which may further restrict the use of a particular product. Service for bed bugs usually includes treatment with a residual insecticide of bed frames, slats, any hollow legs or open springs, headboards, and the floor around beds. The bed frame at the interface where the box spring sits. Cracks and crevices in the frame. Any wood surfaces including slats. Spring coils (if so equipped). Footboard and headboard. 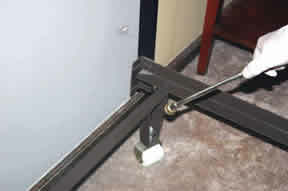 Where the headboard is attached to the wall, which is common in hotels, remove the headboard and treat this area and any cracks, crevices, and voids located there. If the headboard is not removable, treat behind it as best you can. Inside bed frame legs, wheels, and hollow bed posts. In platform beds, treat inside the void under the platform, and in all cracks and crevices. 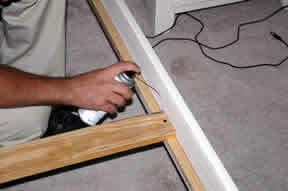 In futons, treat the joints for each slat and all cracks and crevices in wood; treat inside any hollow metal tubing. Water beds will have to be drained and disassembled in order to treat (or inspect) effectively. Pest control companies differ widely in how they deal with infested mattresses and box springs. Some require that they be discarded and replaced. Disposal is rarely necessary, however, unless the items are badly deteriorated and severely infested. Others encase mattresses and box springs. Some will treat the box spring but not the mattress. Others will treat only with a product like Steri-Fab®, a nonresidual bactericide/disinfectant that kills bed bugs on contact. Many pest control companies will apply residual insecticides to mattresses and box springs when the label clearly allows such a use. A company should do so, however, only after confirming that the label of the insecticide specifically allows treatment of these items. If treating beds with insecticides, always follow label directions and do not treat the bed of anyone who is ill or bedridden. The underside of the box spring, especially the seams where the gauze cover attaches to the box spring frame. Inside the box spring. You may have to cut small holes or remove the gauze to get access. Be sure to get insecticide all the way inside to the wooden portions of the frame of the box spring, and all the cracks and crevices located there. 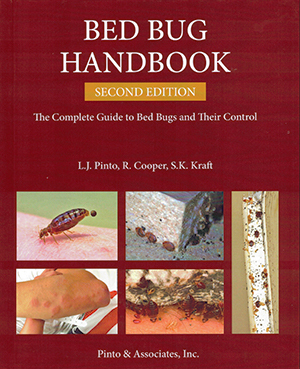 This article was excerpted from the new Bed Bug Handbook: The Complete Guide to Bed Bugs and Their Control.